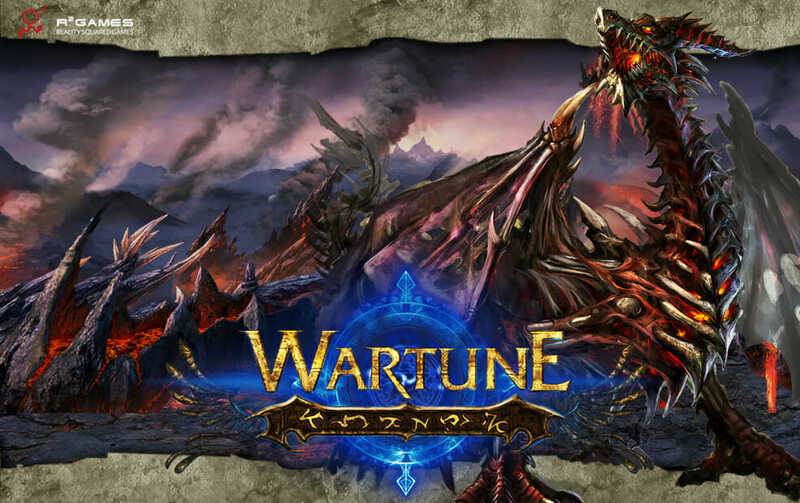 For fans of the MMORPG genre, there are certainly many free to play browser games available for you to try and Wartune is one of those. R2 games are responsible for bringing this game to the market and have produced a fast-paced game that has borrowed upon the styling found in the Final Fantasy games of old.Whilst the game may look a little like the Final Fantasy franchise, that is right where the similarities between the two games ends. 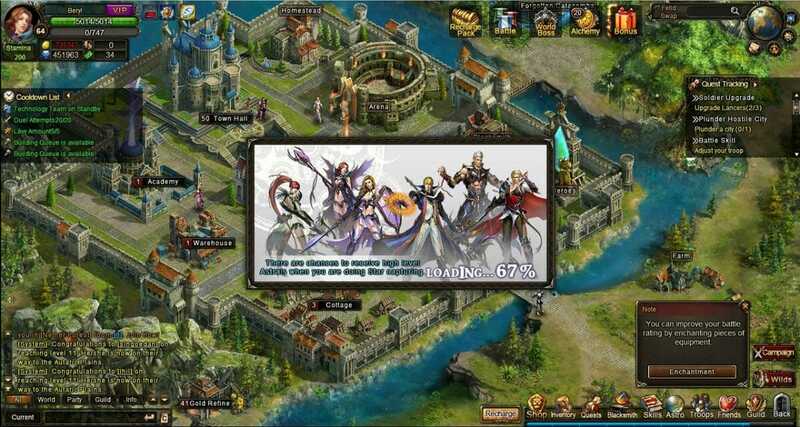 This is due to Wartune going in the direction of resource management and city building to ensure the game has its own unique feel. Once you start the game you are immediately tasked with creating your character and choosing which of the three classes it is going to be. You have the choice between an archer, mage or knight with each of them providing completely different gameplay from the other. Knights work well alongside archers, with the Knights staying ahead of the archers in order to take the brunt of the hits whilst the archers are able to pick off targets from behind. Once you have made your character selection you are presented with the storyline which is basically about the rescue of a princess in distress. 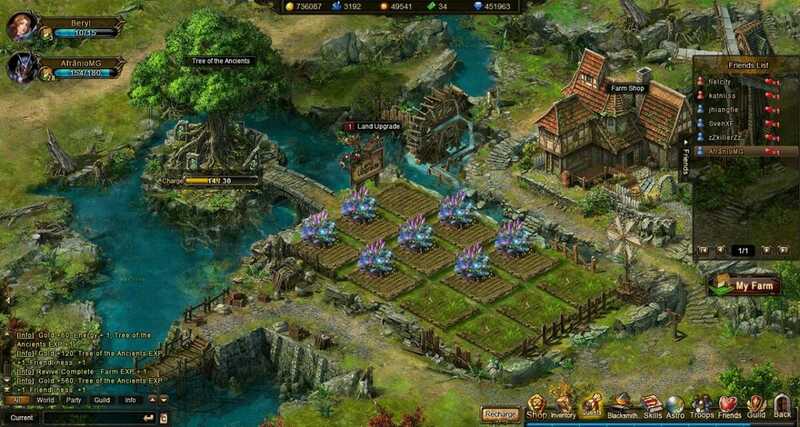 This storyline also acts as your tutorial as you are given control of a town that it helps you with the basics of. The graphics are actually quite impressive for that of a browser game and the battle scenes look pretty impressive it has to be said. Even when you are back in the towns and the other many environments, the graphics are also adequate. As for the sound and music, the former is decent but the latter can be annoying as it is so loud and repetitive. The disappointing aspect of Wartune is that there is very little control over the battles that your soldiers will take part in. They are turn based but you have no control over which units your characters will attack and can literally only use different abilities throughout the battles. Th4e battle scenes have two rows with the first row being suited to the types of characters that can take a hit whilst the back row is for the troops that are betting at striking from distance. In between battles you will find yourself back at your city hub where you can forge new weapons, upgrade items and soldiers and build new buildings as they become available. 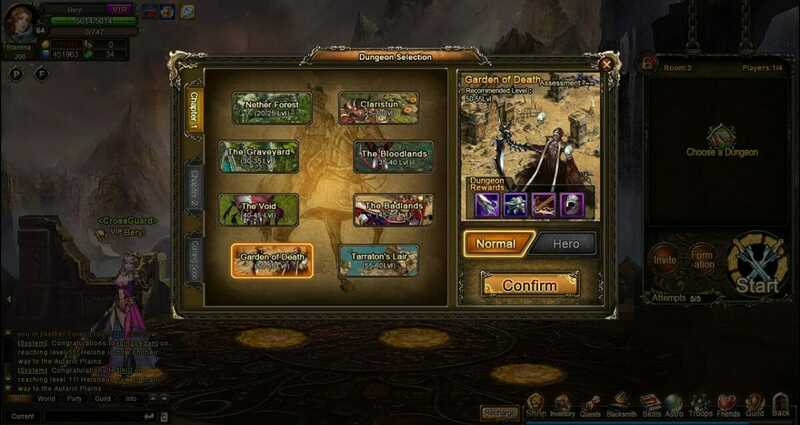 It is here where you can also navigate your way through the games missions by making your way through dungeons. There are plenty of ways to participate in PVP action such as teaming up with friends to take part in a prearranged battle against another team or you can simply go and attack another city on the map. The disappointing thing here is that the higher level players will always win, there is no scope for any kind of upset. If you want a game where you just spend a few minutes of the day logging in, this could be for you. However, if you are looking for a game to really take up your time, there are better options out there as this can get repetitive and boring fairly quickly. It looks nice and simply requires a login to play but there really is not too much depth to the game. • Fun and casual game to play. If you want a game where you just spend a few minutes of the day logging in, this could be for you. However, if you are looking for a game to really take up your time, there are better options.